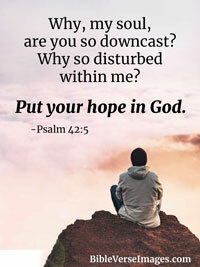 Though you have made me see troubles, many and bitter-- you will restore my life again; from the depths of the earth you will again bring me up. You will increase my honor and comfort me once more. Thou, which hast shewed me great and sore troubles, shalt quicken me again, and shalt bring me up again from the depths of the earth. Thou shalt increase my greatness, and comfort me on every side. You have allowed me to suffer much hardship, but you will restore me to life again and lift me up from the depths of the earth. 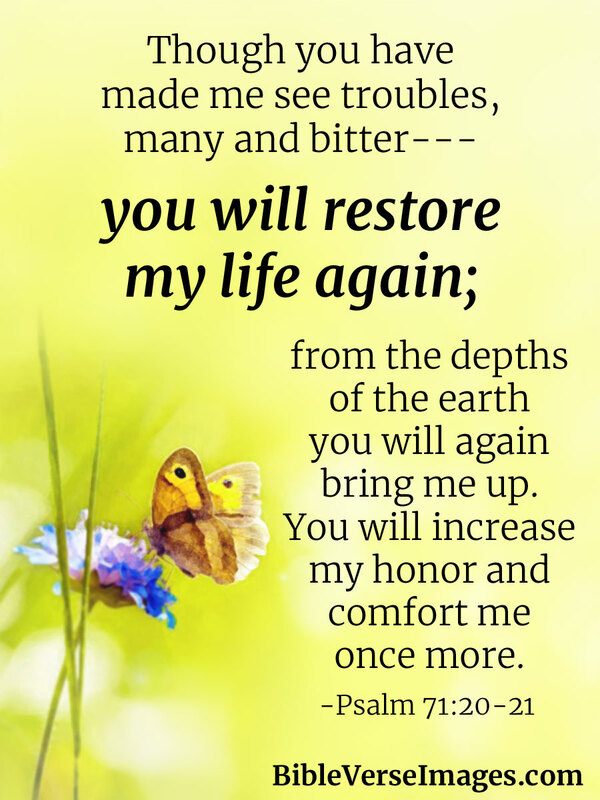 You will restore me to even greater honor and comfort me once again. You, who have shown me great and severe troubles, Shall revive me again, And bring me up again from the depths of the earth. You shall increase my greatness, And comfort me on every side.